"Sorry for being tardy to the party. I'm not usually the one to make a fashionably late entrance, but this block boggled my mind for longer than usual. 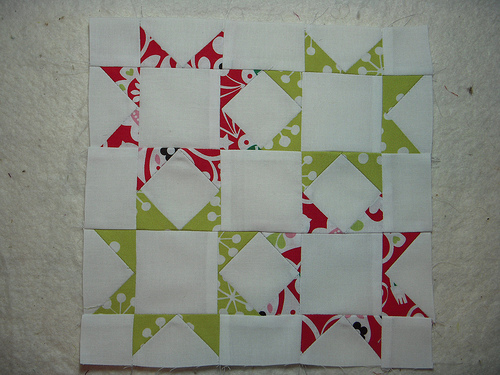 "The Corner Star block is made up of flying geese and square in a square units. 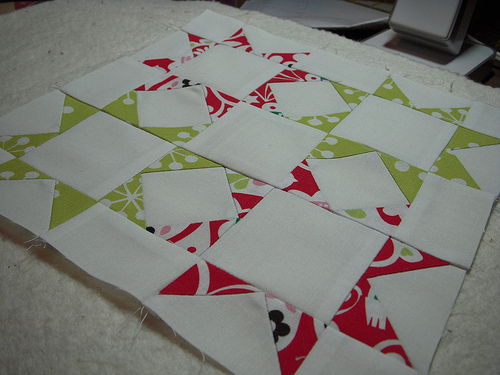 If you've been quilting along with us, this will be a piece of cake for you!" 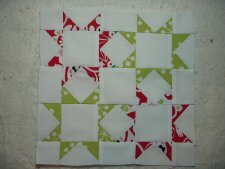 More Free Projects: For more free tutorials by Jennifer and her friend Crystal, look on the right sidebar of their site!